It’s time to continue the countdown and unlock the secrets of better corn planting for #Plant19 and beyond. This is good advice for any walk of life but especially for getting your corn planter tuned in. You can ignore the details, not update your monitor, and not get out and ground-truth performance. Those are choices you are free to make. But if something is wrong, something that was preventable, what is your plan for when that “tiger” turns around? With that in mind, let’s continue the countdown of our 10 commandments of corn planting to make sure you get it right this year (view commandments 6 through 10 here). Commandment 5: The sins of your planter will haunt you all year. A few years ago we had a guy south of town plant 80 acres with one row not planting. Zero. Nada. Your sprayer can’t fix a planter’s mistakes, neither can your combine. Whatever performance your corn planter gives you sets the table for the rest of the year. Commandment 4: Better to be a week late than a day early. It means just what you think it does and is pretty closely related to Commandment 5. If you get out there a day too early (tacky ground, extremely cold soils, plant in front of a very cold rain, etc. ), the sins of that decision will haunt you all year. We all want to get our corn planted early but don’t push the limits just to get a box checked on your “to do” list. The best thing to see in your field is your shadow. Get out of your tractor and check planting depth, get out and check those closing wheels, get out and dig seeds to check spacing, soil contact, etc. You get the idea. You aren’t Ricky Bobby. You can only plant as fast as your corn planter can perform. It’s true that Randy Dowdy grew 503 bushel corn with a corn planter that had Air Force for a down force system. But he planted at 3 miles per hour because that’s all the faster he could go and still get optimum planter performance. Want to go faster because you have a lot to do? Invest in the tools to go faster with confidence. Whether it’s hydraulic down force or high-speed planting components, they are designed to perform at higher speeds. Commandment 1: Plant in the dust and your bins will bust, plant in the mud and you’re crops a dud. This one comes from grandpa and it’s as true today as it was 80 years ago. No matter how many acres you farm, what color your corn planter is, or how many aftermarket add-ons you’ve installed, planting conditions trump most everything else. 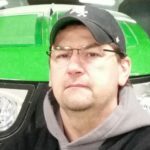 Ed Kasper is Owner of Kasper Ag Solutions, LLC in Poplar Grove, IL. See all author stories here.